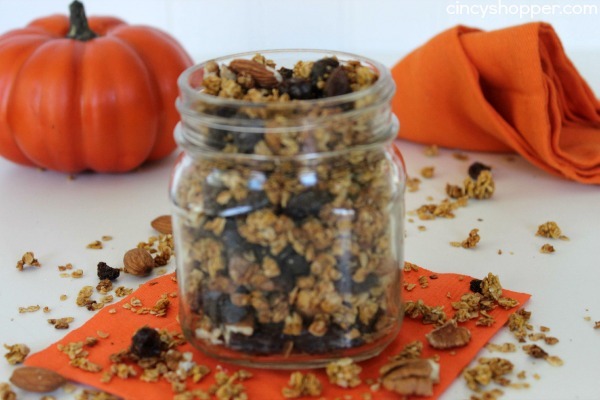 If you are looking for a healthy and tasty fall treat this Pumpkin Granola Recipe will be perfect. This week I purchased a bunch of plain yogurt for breakfasts and for baking. 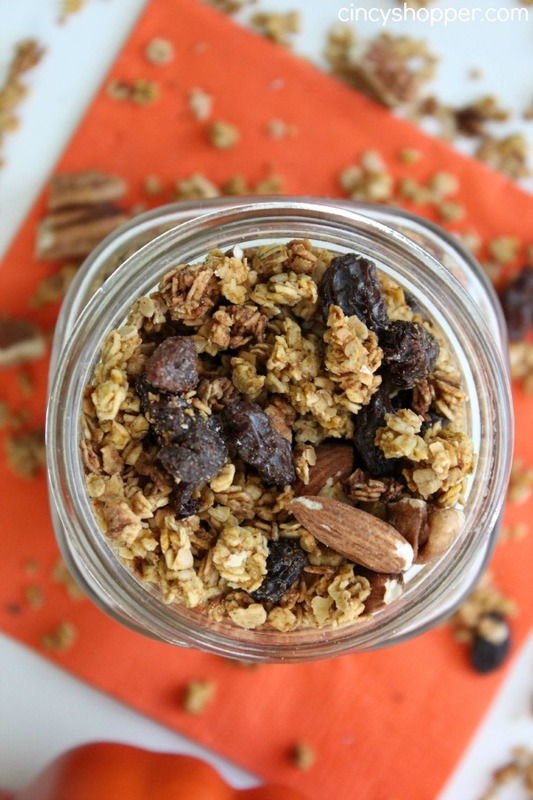 I really like adding granola to my breakfast yogurt to give an added crunch and flavor. 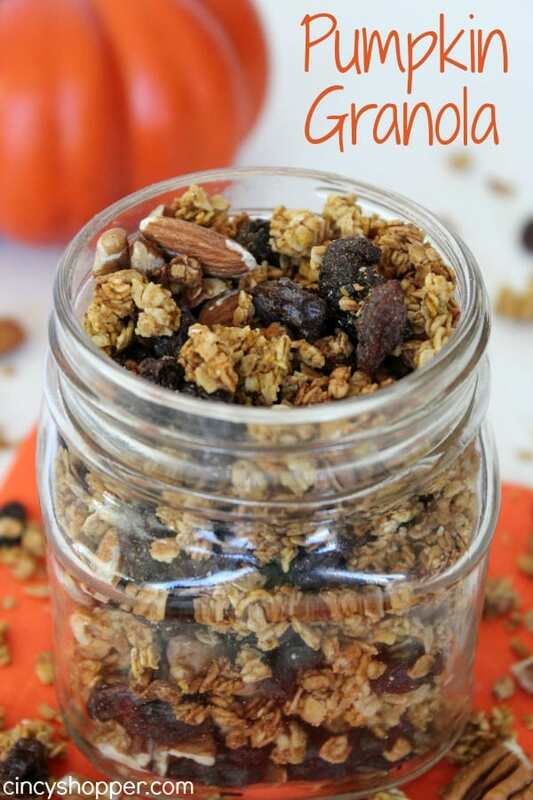 Since it’s fall and my daughter and I LOVE pumpkin spice flavors I decided to make us some Pumpkin Granola to enjoy this week for snacking and for our yogurt. This recipe was perfect. I added in some raisins, pecans and almonds. You can add in some of your favorite additions. 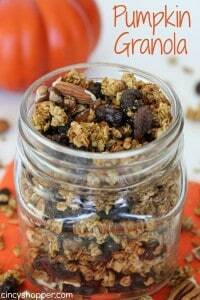 Next time I make this Pumpkin Granola Recipe I am thinking of adding in some dried cranberries (yum). My teen boys even tried the Pumpkin Granola and really liked it. I packaged up a few packages for them to add to their lunches this past week. Amazing that my picky boys actually liked something healthy, ha ha! 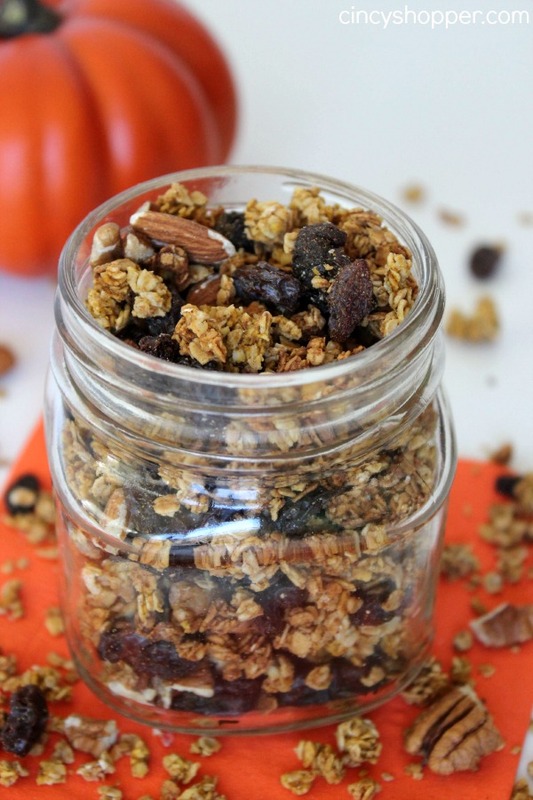 The ingredients to make your own homemade Pumpkin Granola Recipe are simple. Grab some pumpkin, oats, maple syrup, oil and pumpkin pie spice. This recipe is super easy and turns out super tasty. Plus… it’s much more affordable than purchasing store bought. 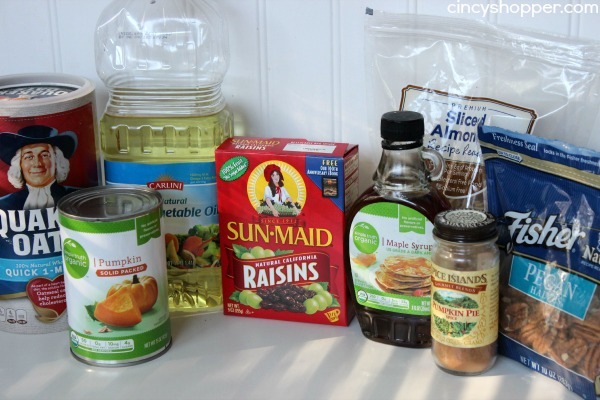 Mix together the oats, maple syrup, pumpkin, oil, spice and salt. Spread mixture out on a non-stick baking surface in a thin layer. 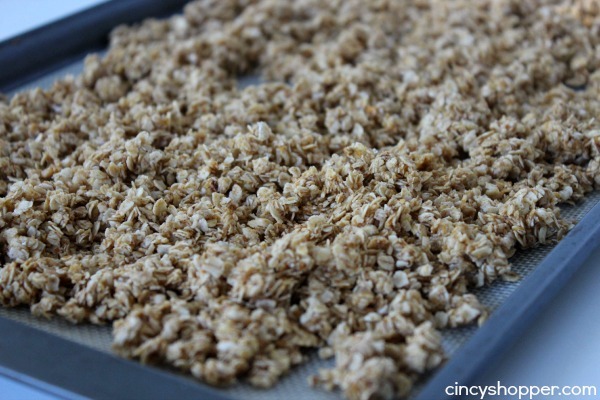 Break up the oats and bake for another 10 minutes. Add raisins and nuts and store in air tight container.